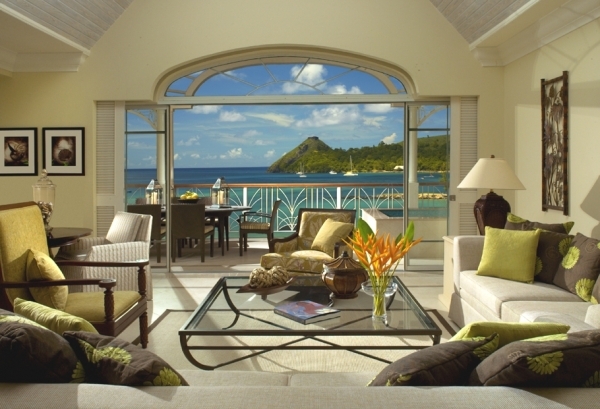 Welcome to the exquisite design of The Landings on Rodney Bay, in Saint Lucia. 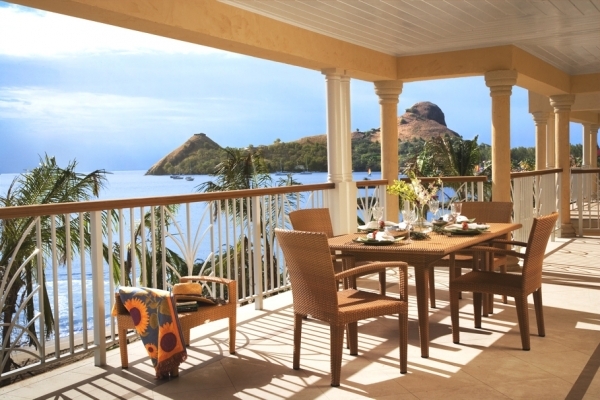 This luxury island resort is a fantastic example of Caribbean style and design. 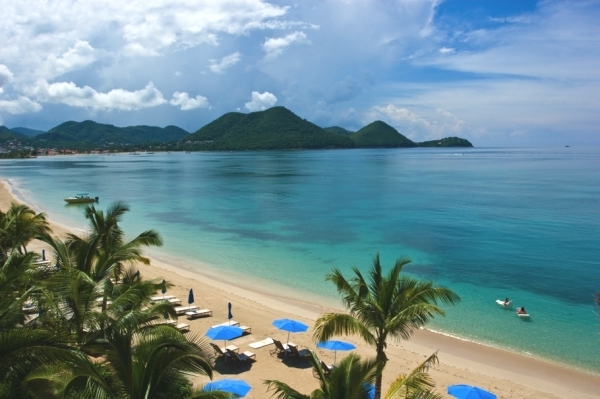 The five star hotel is surrounded by clear aquamarine waters and sandy beaches. 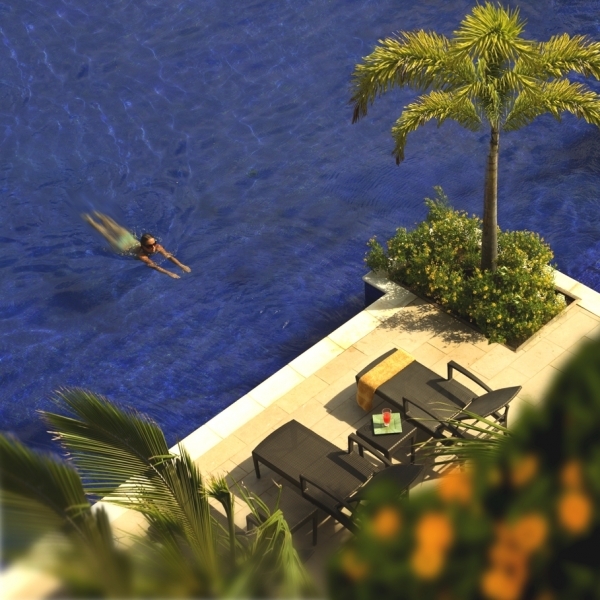 It has a pale yellow exterior and white intricate railings that surround 122 villa suites. 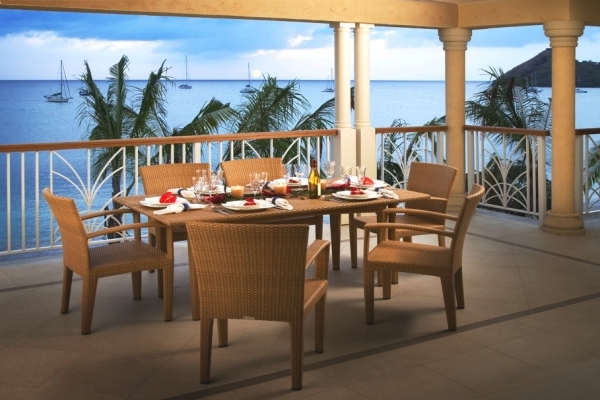 The wicker dining table and chairs, located on the patio, are situated in perfect view of the crystal waters. It is the perfect place to enjoy sunrises and sunsets while you have your morning coffee or your evening wine. 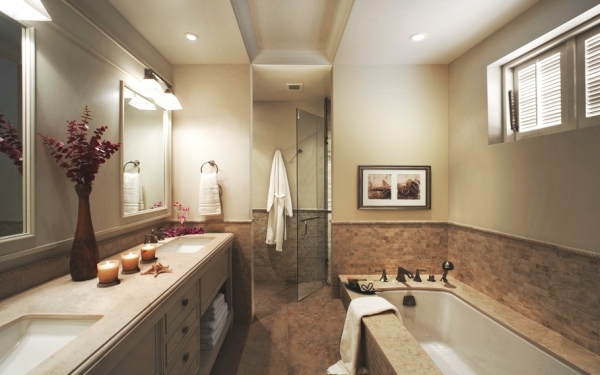 The luxury interior is colorful and calming. 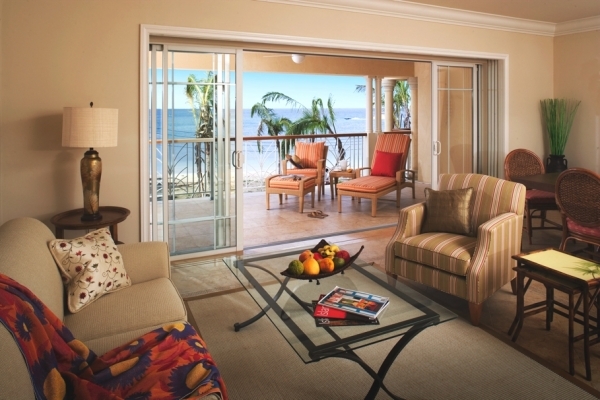 The plush furniture and large patio doors establish a place for relaxing and enjoying the breeze. The striped chair and the solid colored couch add variety, while the pops of color establish a bright and cheery atmosphere. The rich brown dining table is beautifully set with deep green dinnerware, and complemented by an ornate, gold accented chandelier. 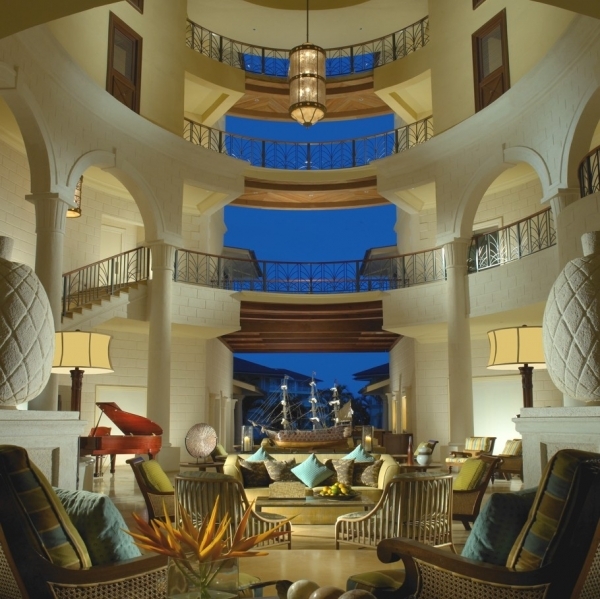 The lobby of this luxury summer resort is a sight to be seen. The circular architecture cloaks the inside area in greens, blues, and a hint of orange, while the sky peeks in through the large openings. 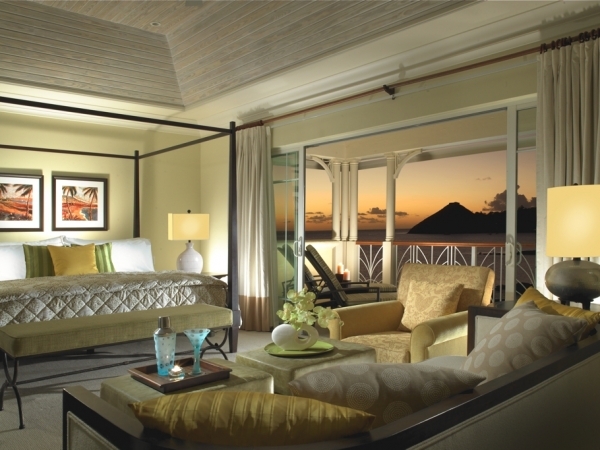 The bedrooms are the definition of luxury interior. In the master bedroom, the beautiful king sized bed is situated right next to the sliding patio doors, granting easy access to the unbelievable surroundings.The greens, yellows, and browns warm the space, and the lighting in the room seems to bounce off the slightly metallic comforter. 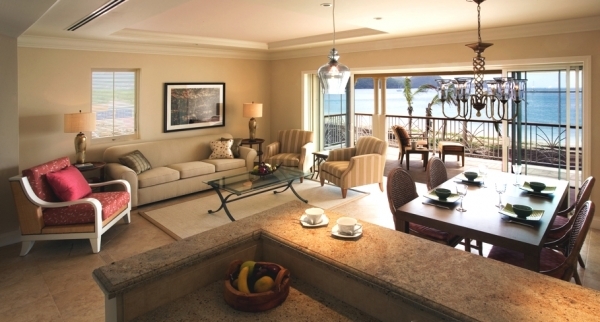 The excellence of this luxury summer resort is continued in the guest bedroom. 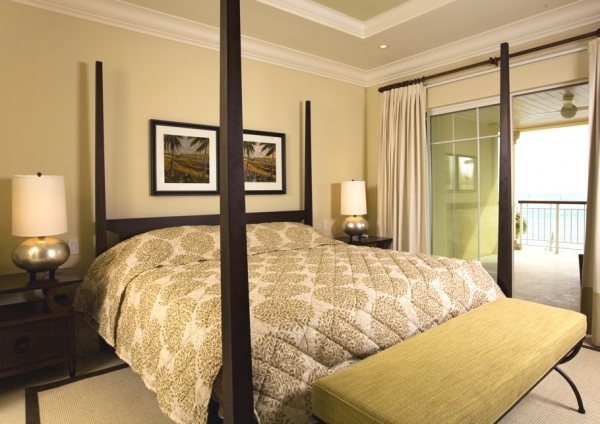 Beautiful patio doors, cocoa brown wood, and golden accents continue the luxury standard that is set in the master bedroom.